Updated and meticulously-maintained home in the Glennon Heights community of Lakewood. Beyond the well-kept exterior, find nearly 3,000 square feet of exceptional upgrades that include beautifully remodeled kitchen and baths, all new light fixtures and exquisite finishes throughout. The vaulted, sun-filled living room greets all upon entry. At the heart of the home, the completely renovated kitchen shines, showcasing gorgeous cherry cabinetry, slab granite countertops, gleaming hardwoods and a casual dining space. From there, step down into the comfortable family room, well-appointed with stunning hickory flooring and a cozy wood-burning stove artfully tucked into the magnificent brick wall. Also on the lower level are the remodeled laundry room and bath that presents lavish marble and a stunning vanity with soft-close doors, a granite countertop and a stylish vessel sink. Head upstairs to the master suite, graced with impeccable hickory flooring, timeless crown moulding and a luxuriant en suite bath. Featured in Luxe Interiors & Design magazine, this 2013 National Kitchen and Bath Association winner was flawlessly executed with a custom vanity, designer marble tile, a custom ½ inch glass shower door and tasteful oil-rubbed bronze finishes. Two secondary bedrooms and another remarkably updated hallway bathroom complete the upper level. More room to spread out in the basement recreation room. Finished with top-quality Armstrong laminate flooring and built-in cabinetry with pull-out shelving, this incredible space is sure to please. New HVAC (2018), water heater (2017) and roof with Class 4 impact-resistant shingles (2017). Situated on a quarter-acre lot, this incredible home is ideally located a short walk to Addenbrooke Park offering green space, baseball fields, sport courts, picnic areas and more. Ample shopping and dining options at nearby Belmar as well as Colorado Mills! 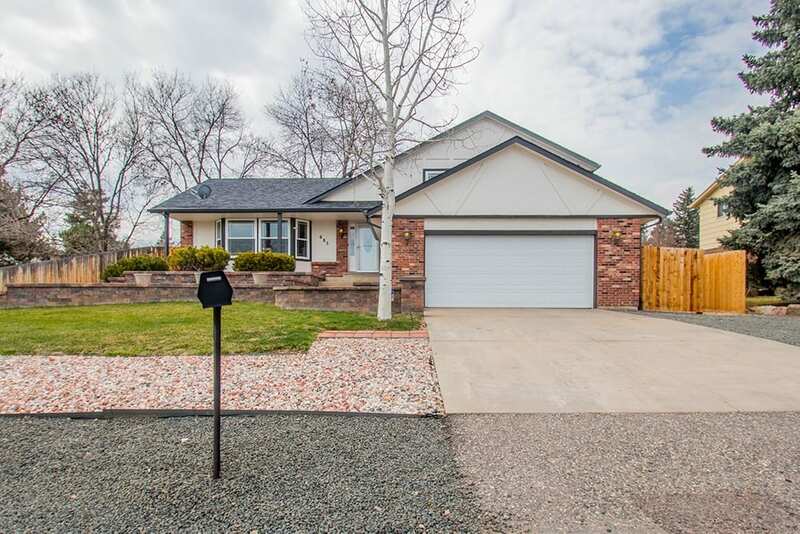 Enjoy easy access to I-70, Red Rocks Amphitheathre, the mountains and downtown. Don’t miss your chance at this wonderful home!